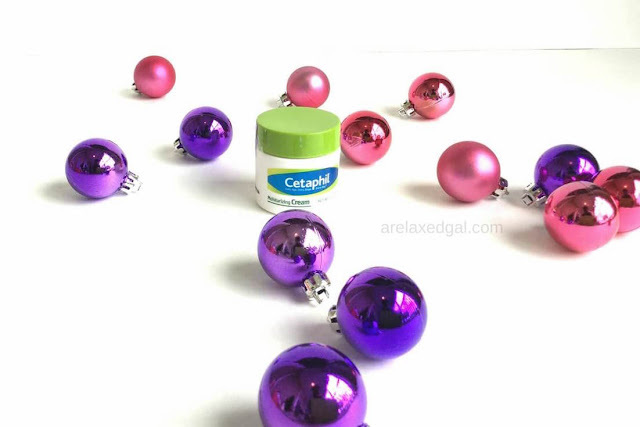 I received the Cetaphil Moisturizing Cream free from Influenster in the Jingle VoxBox to test out. I was excited to get this the Cetaphil Cream as I fondly remember it being the lotion I'd see in my Grandmother's bathroom. Personally, my typical lotion is store brand lotion with cocoa butter, so Cetaphil has never been on my radar outside of seeing it in my Grandmother's bathroom. 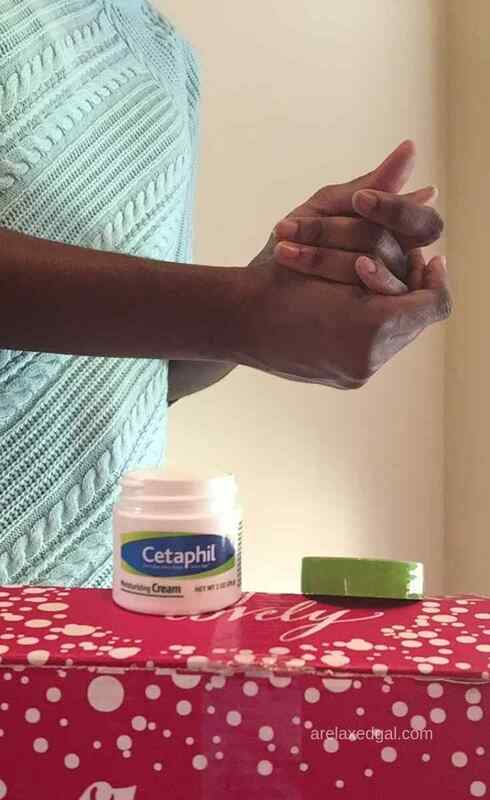 I've used the Cetaphil Moisturizing Cream for about a week now, at least once a day on my hands and occasionally on my feet and I have to say I do like it. Keep reading to get my honest review. "Cetaphil Moisturizing Cream contains a superior system of extra-strength emollients and humectants clinically proven to bind water to the skin and prevent moisture loss. The result is long-lasting relief for even severely dry skin. The non-greasy formula is excellent for hands, feet, elbows, knees, and any other areas that require intensive moisturization. Available sizes: 3oz, 8.8oz, 16oz"
Can be used on my hands, feet, elbows, etc. While I've liked using the Cetaphil Moisturizing Cream I'll have to think about whether I want to pay 3x more than I currently do for lotion. If I lived in a colder climate I think the price might be worth it, but living in Florida I don't have much use for such an intense lotion. "Water, glycerin, petrolatum, dicaprylyl ether, dimethicone, glyceryl stearate, cetyl acohol, prunus amygdalus dulcis (sweet almond) oil, PEG-30 stearate, tocopheryl acetate, acrylates/C10-30 alkyl acrylate crosspolymer, dimethiconol, benzyl alcohol, phenoxyethanol, methylparaben, propylparaben, glyceryl acrylate/acrylic acid copolymer, propylene glycol, disodium EDTA, sodium hydroxide"
"Apply liberally as often as needed or as directed by a physician." Have you used Cetaphil Moisturizing Cream?